NEW YORK – JPMorgan Chase & Co (JPM.N) officials including Chief Executive Officer Jamie Dimon do not have to face a shareholder lawsuit claiming they failed to properly investigate the “London Whale” trading scandal that caused $6.2 billion (£4 billion) in losses, a federal appeals court ruled on Tuesday. The 2nd US Circuit Court of Appeals in New York said a lower court judge did not abuse his discretion by dismissing the lawsuit by shareholder Ernesto Espinoza. Writing for a three-judge appeals court panel, Chief Judge Robert Katzmann said Espinoza did not meet the high standard of showing the board committed “gross negligence” in probing the losses and deciding not to sue people who were involved. JPMorgan executives and directors have won dismissals of three investor lawsuits in New York and Delaware that claimed they could have prevented the losses incurred in 2012 by Bruno Iksil, or failed to properly hold others responsible. Iksil was known as the London Whale because of the size of his derivative bets, which caused losses in JPMorgan’s chief investment office. The largest US bank by assets still faces a separate shareholder lawsuit over Iksil’s losses. “Naturally, we’re disappointed with the outcome,” said George Aguilar, a lawyer for Espinoza. He said his client might ask the full appeals court to review the decision. JPMorgan spokesman Brian Marchiony, a lawyer for bank executives including Dimon and former Chief Investment Officer Ina Drew, and a lawyer for bank directors declined to comment. Espinoza said JPMorgan’s probe into the scandal and how to prevent a recurrence was inadequate. He also said the New York-based bank’s board ignored his demands that it examine whether JPMorgan publicly downplayed the losses, including when Dimon called media reports a “tempest in a teapot,” and that it claw back salaries and bonuses from those responsible for the losses. U.S. District Judge George Daniels dismissed the complaint in March 2014, finding no proof that the board acted improperly. 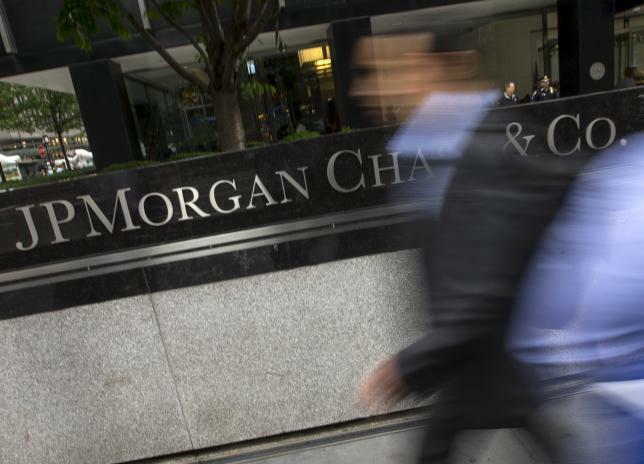 JPMorgan paid more than $1 billion and admitted wrongdoing to settle U.S. and British probes into the London Whale losses. Two former JPMorgan traders, Javier Martin-Artajo and Julien Grout, are charged with hiding losses linked to Iksil, a French national. Iksil is cooperating with prosecutors.